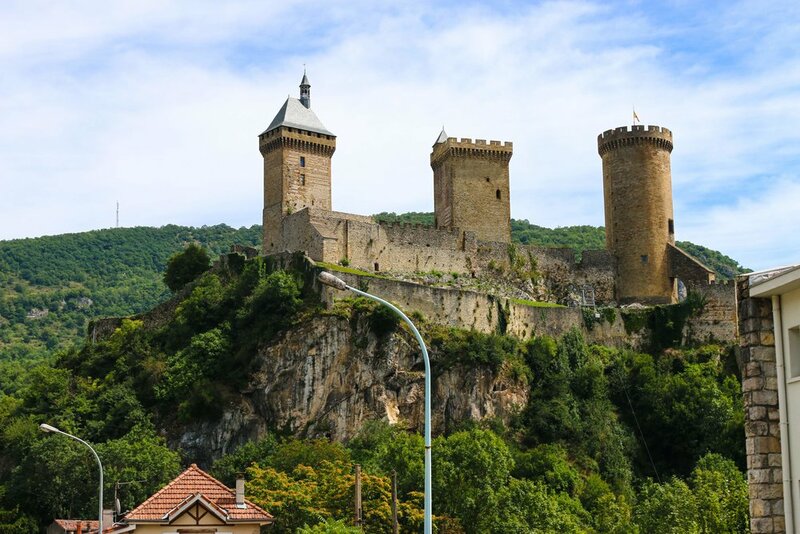 Dominated by the 10th century Chateau de Foix with a wonderful panorama over the Pyrenees. Foix with its narrow winding streets and many bars and restaurants is a delightful place to take a stroll and chill out. Market day is Friday and only a 10 minute drive from Rhino Velo Pyrenees. 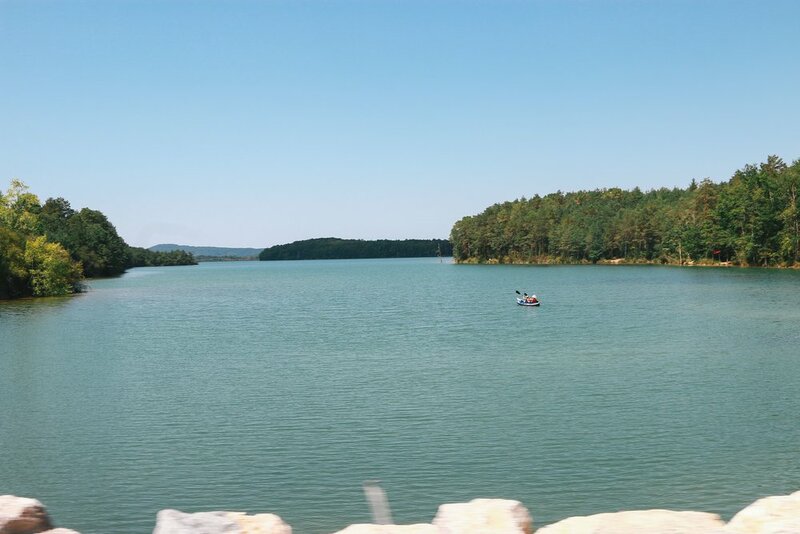 Lake Montbel spans 570 hectacres 40 kilometres east of Foix.. With specially made beaches. Pedaloes, canoes and kayacs. Swimming is permitted between 1st July - 31st August. Lots of trails for mountain biking and hiking. An ideal place to spend the afternoon with a picnic enjoying the views and fresh water. An amazing site with its arch, 65 metres in height. The river and road passes through from one side to the other. An information centre is accessible in the centre where you can discover the geological formation and history of the cave. A lovely cafe awaits you on the otherside of the cave serving great food and drinks. A must do and within cycling distance from Rhino Velo Pyrenees. Famous for its Thermal Spas and Skiing. This bustling town on the way to Andorra is well worth a visit. You can choose from the many restaurants for lunch and then take a visit to the Thermal Spa. A 2 hour ticket gives you access to 3000 metres of relaxing spa waters which runs naturally between 33c and 38c. Jacuzzis, swan neck massage jets, massage baths, hot tubs, saunas and steam rooms. For the adventurous we can arrange a mountain ride to Ax Les Thermes, lunch and visit to the spa all in a day. Please ask for details of this trip. This attractive mediaevall village has a real buzz to it. The buildings are constructed mainly of wood and cob, half timbered houses and their wooden galleries make this a town that should not be missed. Relax in the "Couverts" Arcade the centre of old Mirepoix with a fine choice of restaurants and bars. One of the biggest and best Sportives in the Pyrenees. Get to choose from four different routes and distances. The Sportive has been growing every year and it's 5000 rider limit is always oversold. A tough and challenging route is always expected every year. Taking in many of the famous mountains in the Ariege area and to keep the variety, a different route is completed each year. Brilliant organisation, routing and marshalling makes this event a must do. Book early to avoid disappointment. Email us for our Ariegoise Sportive package. Perched at 1207 metres and dating back over 4000 years. Century. The Castle has an interesting history and in 1243 after an 11 month siege the Cathars a dualist religion which was condemned by the heretical Pope who had made their home here were butchered and more than 200 were burnt alive. The Castle can be reached by bike via a mountain road, the best way is from Belesta on a 15km climb of 3.75%.